Are you in the market for a vehicle that combines effortless style with outstanding performance? Look no further than the 2018 Ford Expedition! Through its four-door exterior and interior seating for up to eight people, this expansive and innovative vehicle encourages you to live large. Available trim levels include the XLT, Limited, Platinum, Limited MAX, and the Platinum MAX. 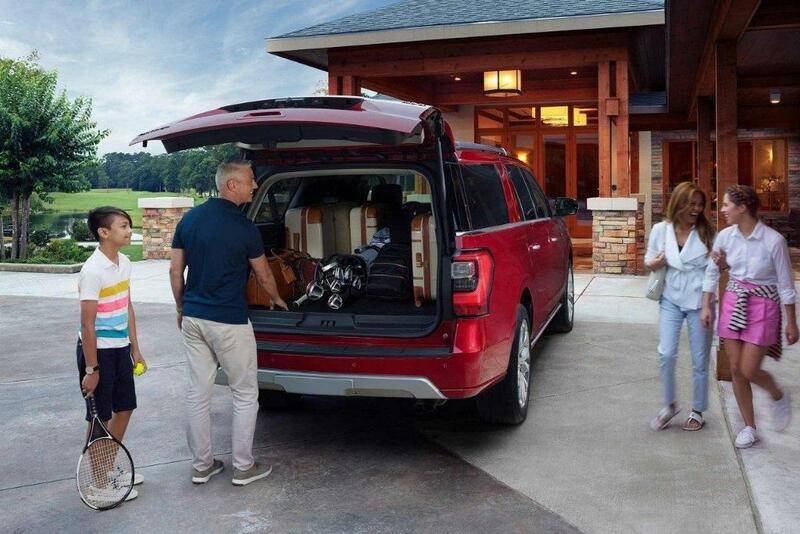 Relax in an environment intentionally crafted to bring comfort and support inside the 2018 Ford Expedition. Each experience is enhanced through the available illuminated entry lighting as you sit back on the available perforated leather-trimmed heated/cooled front buckets seats with optional Active Motion, a feature that helps to relieve leg and lower back fatigue when driving for extended periods of time. Refined touches such as the available leather-wrapped steering wheel with mounted audio controls help to provide you with access to your settings without compromise. Keep your front passenger satisfied with help from the optional Dual-Zone Electronic Automatic Temperature Control as you set and maintain two different front temperatures at the same time. 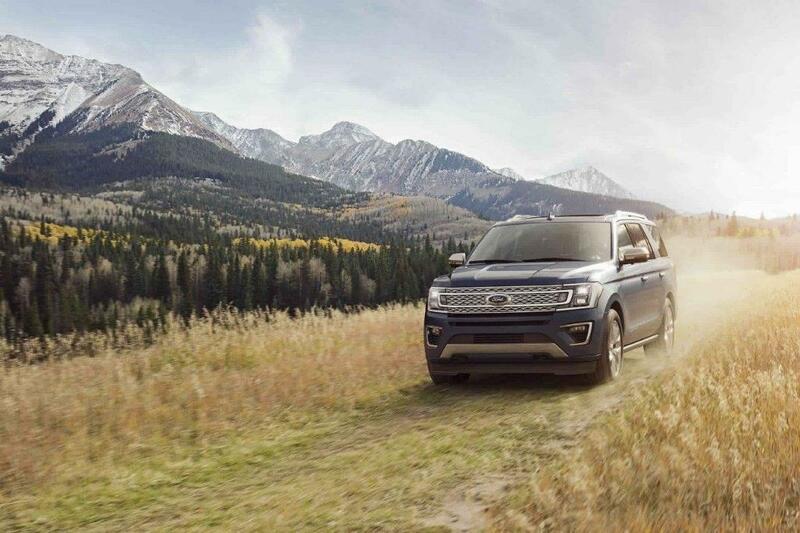 Explore the great outdoors with endless possibilities in the 2018 Ford Expedition. Conquer each adventure in style as you show off upscale details such as the chrome exhaust and available chrome grille. No matter what the day holds, you are able to arrive with all your gear in tow as you bring along a variety of cargo items large and small through the available chrome luggage rack crossbars. Simplify your day as you easily load an unload your interior cargo with the available power liftgate. You are able to see and be seen in an array of conditions with the help of the LED fog lights and quad-beam reflector headlights. The future is here and with the 2018 Ford Expedition. You are given an abundance of innovative technologies that promote driver safety and outside connectivity. Benefit from the optional SYNC 3 system with voice-activated technology and an available 8-inch capacitive touchscreen, allowing you to keep your hands on the wheel and your eyes on the road. Connect your compatible devices and utilize Bluetooth hands-free calling wherever you are on the road. Express yourself in the 2018 Ford Expedition as you deck it out with an array of Genuine Ford Parts and Accessories. 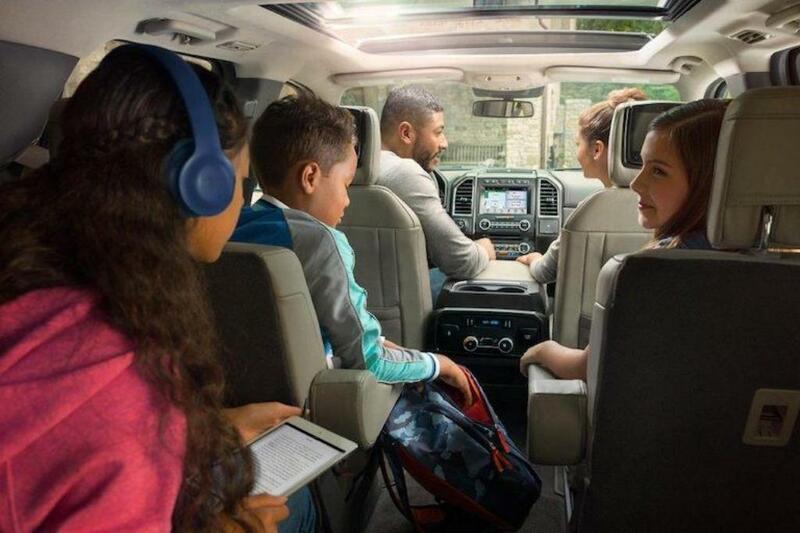 Keep your interior clean through a variety of floor mats and cargo trays, or keep your rear passengers entertained through the available Dual Headrest DVD by INVISION. Effortless winter driving is achieved with the addition of remote start system, encouraging early mornings during winter months. Power and handling join forces with the 2018 Ford Expedition as you embrace the surprising responsiveness of the 3.5L EcoBoost engine with 365 horsepower and 420 lb-ft of torque. Advanced EcoBoost technology delivers direct injection capabilities to maximize power and twin air-to-air intercooled turbochargers for a surge on on-demand power. Experience the benefit of 9,200 lb (4173 kg) best-in class towing as you bring along everything you need for each occasion! Smooth drivability is promoted with the available 6-speed SelectShift automatic transmission, keeping you on the road with confidence and control. Take on an experience of a lifetime as you drive the stylish and expansive 2018 Ford Expedition. Featuring an array of modern and innovative features that promote driver comfort and safety, this vehicle enhancing each journey on the road. Check out the 2018 Ford Expedition at your local Okanagan Ford Dealer – Watkin Motors Ford, Canada’s oldest serving Ford Dealership. With over a century of exceptional service under their belts, Watkin Motors Ford is here to help you find the perfect vehicle for your needs.